The global pharmaceutical industry is continually striving to meet and exceed both their in-house and overarching regulatory cold chain requirements. To achieve this, pharma companies are constantly looking for innovative products and services that can help them cost-effectively maintain the cold chain for temperature-sensitive products in transit on both a global and local basis. 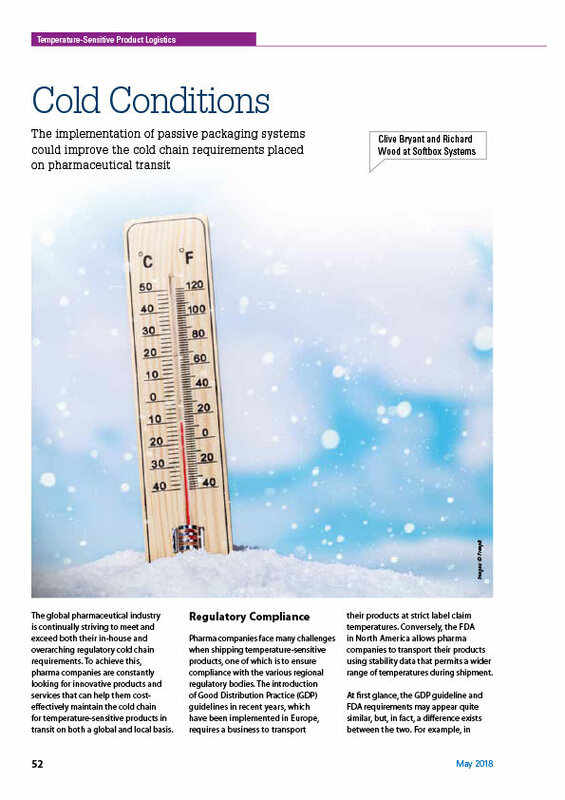 This article in PMPS explores how Softbox’s implementation of passive packaging systems could improve the cold chain requirements placed on pharmaceuticals in transit.